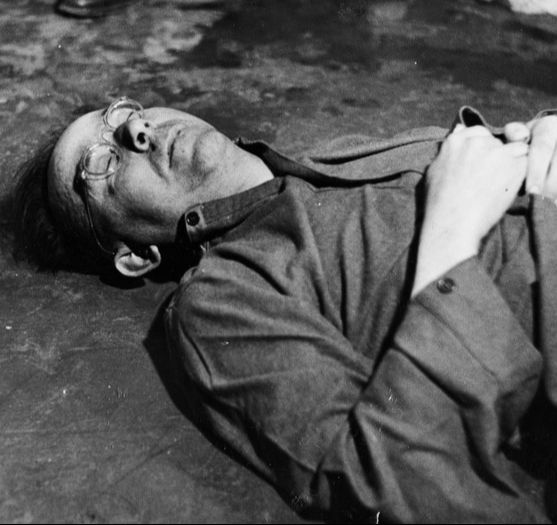 Heinrich Himmler was a prominent member of the Nazi Party during the major events of the Holocaust and World War II. He was born on October 7th, 1900 in Munich, Germany. In 1915, his father helped him to enlist with a Cadet Corps and he was eventually selected as a candidate for officer training. While his older brother had served in the trenches of the western front during World War I, Himmler never got the chance because the war ended on November 11th, 1918, while he was still in training. Instead he returned to finish his schooling in agriculture at the Technical University in Munich. While in university he took an increased interest in politics and current events and began to express extreme-right views of the time, including: anti-Semitism and extreme German nationalism. 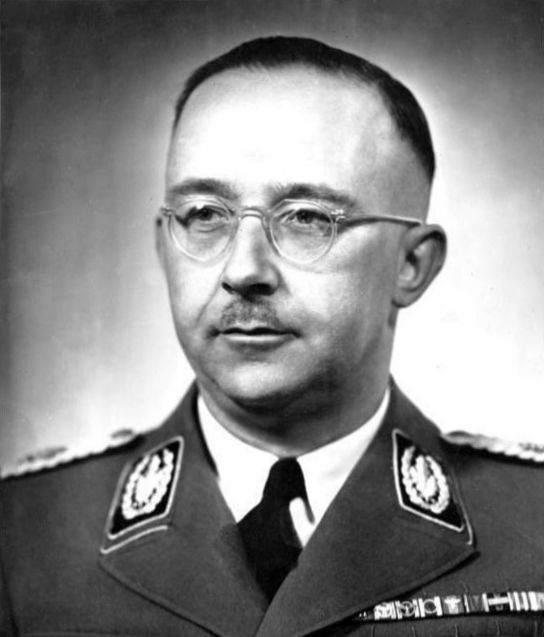 Himmler’s main ambition was to advance his career in the military. As such, when he met Ernst Röhm, an early member of the Nazi Party and co-founder of the SA, he was excited about opportunities with the extreme-right and the joined the Imperial War Flag Society, which was a national group in Germany. It was also at this time that Himmler began to express strong feelings of anti-Semitism and identified with the ideology of the Nazi Party. He finally joined the Nazi Party in August of 1923 and played a role in Adolf Hitler’s failed coup d’état called the Beer Hall Putsch. Soon after the Beer Hall Putsch he lost his job and struggled to find another. Following World War I, Germany was forced to agree to the terms of the Treaty of Versailles, including reparation payments that Germany was forced to pay to the allied nations. As a result of the reparations, Germany was experiencing hyperinflation and the German economy was in a state of crisis. This situation caused many in Germany, including Himmler, to struggle and helped the rise of Adolf Hitler and the Nazi Party. Due to his economic hardship, Himmler became even more involved in the Nazi Party and throughout the mid-1920s worked to promote the party throughout Germany. Himmler joined the SS in 1925 and was quickly appointed as into a leadership position within the organization. The SS were originally created as part of the SA and were Hitler’s person security force. In his leadership role, he promoted the idea that the SS should a racially pure force that was used to promote the goals and ambitions of the Nazi Party, including violence against those deemed ‘undesirable’, such as Jewish people. Hitler’s appointment to Chancellor in 1933 allowed the SS to expand in which Himmler played an important role. In March of 1933, Himmler oversaw the creation of the first concentration camp at Dachau. The camps, as with all later concentration and death camps, were run by the SS and were designed to hold political prisoners. However, over time the prisoners also included people considered ‘undesirable’, including: Jewish, gypsies, Polish and Soviet prisoners of war, etc. For the rest of the Holocaust, Himmler oversaw the expansion of the camps and was directly responsible for the extermination of 11 million people, including 6 million Jewish people. 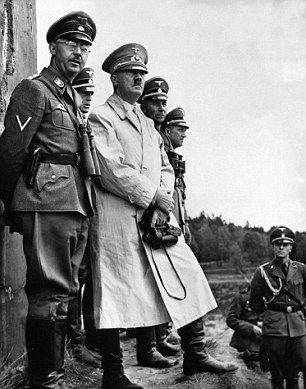 Following a power struggle between the SA leadership and Hitler in 1934, Himmler was promoted within the Nazi Party and soon oversaw much of the police forces in Germany including the Gestapo, which were the Nazi’s secret police. As well he continued to grow the SS. When he had joined in 1925, the SS had only 290 members, but under his direction the organization grew to include over a million. In his book, Mein Kampf, Hitler stated his desire for Germany to have more ‘lebensraum’ or ‘living space’. It was Hitler’s belief that Germany needed more land in order to carry out his ambitions and he intended to gain this land from the countries that were to the east of Germany, such as Poland and the Soviet Union. This was central to Germany’s invasion of Poland in 1939, which is the event that historians view as the start of World War II. In order to gain the living space, Hitler intended to capture the land from these countries and empty it of their populations, especially those considered ‘undesirable’. To achieve this, Himmler created the einsatzgruppen, which were SS death squads that captured and killed Jewish and other minorities during the events of World War II and the Holocaust. In general, the death squads followed directly behind the front line Nazi forces as they conquered territory throughout Europe as part of World War II. Once the Nazi forces had captured an area, the einsatzgruppen would begin the process of rounding up any undesirable people living in the region and carry out their executions. Since the einsatzgruppen were part of the larger SS structure, their actions were under the direction of the head of the SS, Heinrich Himmler. The einsatzgruppen were a central component of the Holocaust and directly led to the deaths of over 2 million people including 1.3 million Jewish. By 1944 World War II was going badly for the Nazi’s. The Nazi’s had suffered a critical defeat against the Soviet Union at the Battle of Stalingrad and the other Allied nations had opened a second front in Europe with the Normandy Invasion. As a result, Germany developed a set of forces to respond to the advancing Allies. In France, the Nazis created the Army Group Upper Rhine and Hitler appointed Himmler in charge of their operations. Hitler wanted Himmler to oversee the Nazi operation against American forces in France and to stop the Americans from pushing through the Ardennes Forest. Ultimately, the Nazi operation failed and Himmler was blamed for the lack of results. In 1945, Hitler again appointed Himmler in charge of a military operation. This time he was tasked with leading Army Group Vistula against Soviet forces in the east. Again, the mission failed and Hitler was forced to remove Himmler from his position. Himmler's failure to achieve the results that Hitler wanted caused a deterioration in the relationship between the two Nazis and was a contributing reason to Himmler's secret peace negotiations. In 1945, Himmler had begun carrying out secret peace negotiations with the Allied nations through contacts he had in Sweden. During these negotiations, Himmler minimized the extent of the situation in the concentration camps in an effort to hide the crimes committed there by the Nazis. Hitler was unaware of these negotiations until April 28th when a news report leaked. Hitler, furious with rage over Himmler's actions, expelled him from the Nazi Party as part of his last will and testament. Hitler committed suicide two days later on April 30th, 1945 as the Soviet Army was closing in on his bunker under Berlin. Having failed to establish a peace settlement, Himmler went on the run and tried to avoid capture by the Allies. However, on May 21st he was stopped at a checkpoint and taken into custody by the British. While being interrogated by British operatives and examined by a doctor on May 23rd, he bit into a cyanide capsule, thus committing suicide. Today, Himmler is remembered for being a prominent Nazi figure and for the role he played in both World War II and the Holocaust. Specifically, he was the head of the SS and oversaw the major events of the Holocaust including the construction of the camps and the use of the einsatzgruppen. He even personally witnessed the conditions at several camps including an operation of the crematorium at Auschwitz.